Your email list is where the long-term gold is. If you get this right you are ahead of the competition. This is an important point that most people miss. If you treat your list well it will reward you many times over. 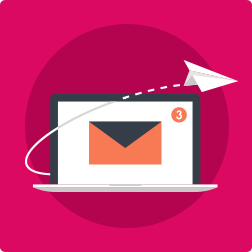 Create an Email Marketing System that is automated and geared to give you regular hot leads, as opposed to ‘hope marketing’. Google change their rules all the time, as does Facebook. You can’t rely fully on these. Your list however, is yours. If you treat your list well it will reward you many times over. Set up regular split tests which will constantly move you forward. Provide valuable gifts in return for feedback and surveys; you will be in control of your online marketing and know exactly what to do to improve the system. Do you need some help building an email list?